For the first time in history, a computer will compete on Jeopardy!. Watson is considered to be the smartest computer on Earth. 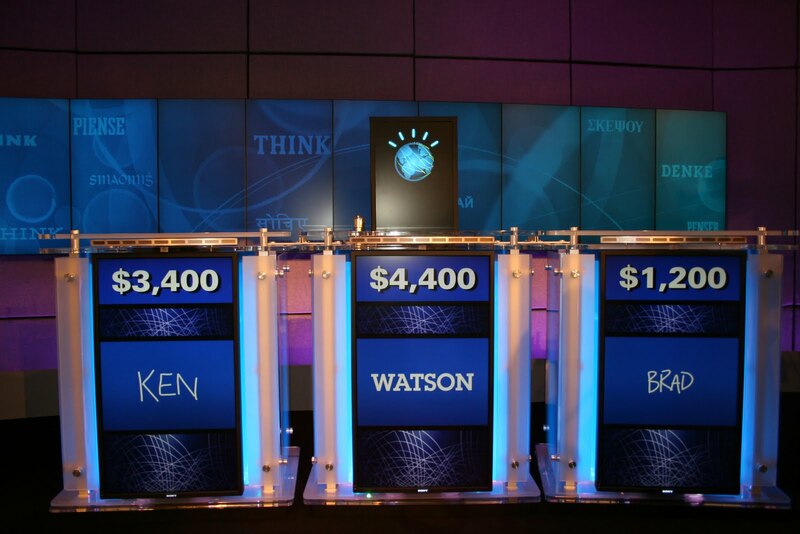 Designed by IBM, Watson was created with the specific goal of being able to compete – and win – on Jeopardy!. Starting this Monday, Watson will be competing against the game show’s all-time top contestants, Ken Jennings and Brad Rutter, for a prize of one million dollars. Will Watson be able to succeed? Creating a computer that can answer Jeopardy!‘s questions seems simple at first – just download every piece of information from every encyclopedia, book, play, movie, Wikipedia, etc. into a database, right? Wrong. This is where the trickery that is Jeopardy! comes in. IBM had to create a computer that could understand the nuances of human language. Jeopardy! is famous for subtle clues in the questions, wicked wordplay, and requiring contestants to piece together multiple points of information from grammar and syntax in order to find the correct answer. For a computer to win at Jeopardy!, it needs a level of artificial intelligence that has all the data of Google but can “think” like a person. It took four years, but IBM thinks they’ve done it. Composed of 90 computer servers – basically ten refrigerators of hardware – thousands of algorithms, and over a million lines of new code, Watson is ready. The best Jeopardy! champions give correct answers approximately 90% of the time, and Watson’s is right up there with them. Along with watching Watson compete on February 14-16, be sure to watch Nova’s Smartest Machine on Earth, the story of Watson’s creation and how scientists are teaching computers to think and learn. Who do you think will win this Jeopardy! championship, man or machine? From the Archive: Looking at the Past Through…Yellow-Colored Glasses? Have you ever opened an old family album only to find that the vibrant hues from your color photos have turned a sickly yellow and orange? Well, you’re not alone. 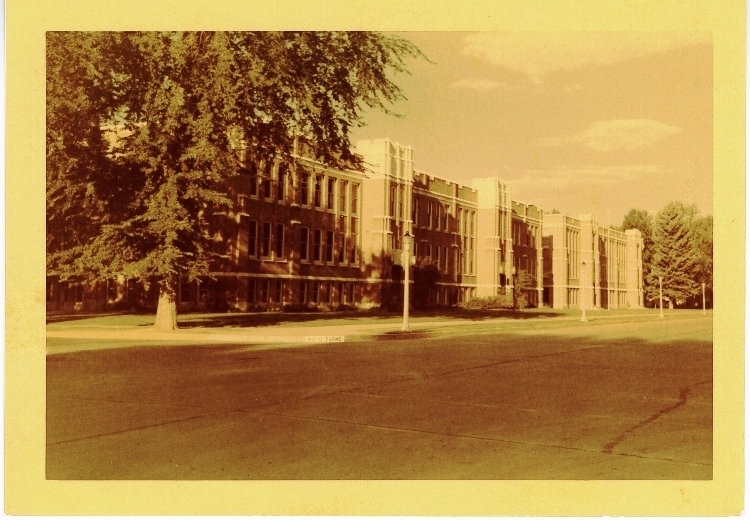 Many historic color photographs, especially those from the early days of snapshot photography when color film was first widely available for personal use, have faded due to unstable color dyes, photo papers, and/or processing techniques. Exposure to years of light if the photos have been on display often exacerbates discoloration and fading of color pictures. 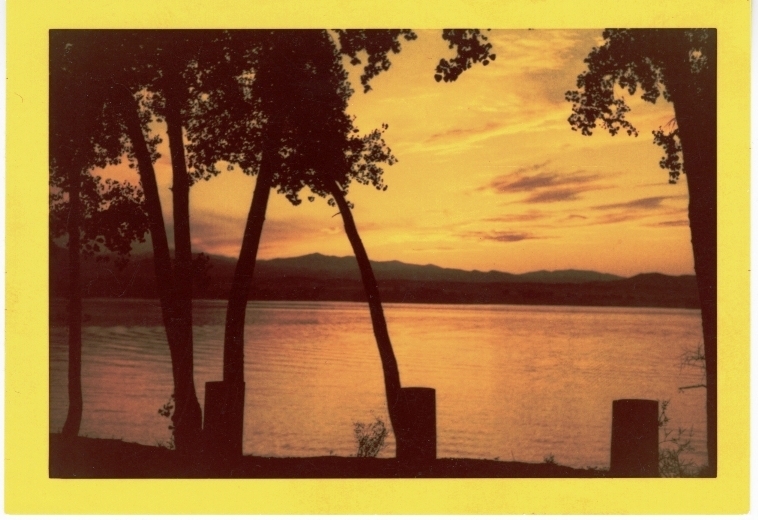 The backs of the photos indicated that they were processed in 1951 on Kodacolor film. 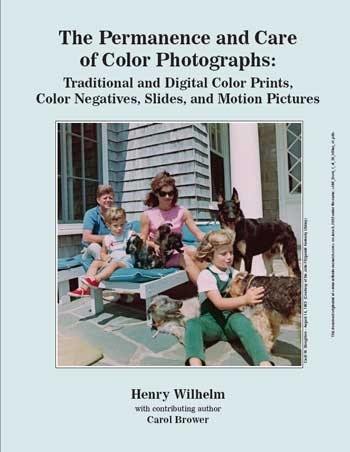 I decided to do a little research on Kodacolor using my trusty copy of The Permanence and Care of Color Photographs by Henry Wilhelm. Wilhelm cites unstable magenta dye-forming color couplers that remained in the prints after processing as the chief culprit in the yellowing effect. Conversely, most images made from the famous Kodachrome film seemed to have fared far better than their Kodacolor counterparts. Do you have any Kodacolor prints in your family albums? How about Kodachrome slides? How have they held up over time? I love it when Science-Fiction tools move from realm of fantasy to the hardware store shelf. Today I carry around a portable communication devices that would seem right at home in the hands of Captain Kirk and Mister Spock. My smart phone even has an application that turns it into a functioning Tricorder, capable of measuring sound levels and magnetic fields amongst other things. Lasers have become so common place over the last fifty-years that they appear in our entertainment systems and grocery store check-out lines. Now, a scientist in the UK is working on one of my favorite Sci-Fi devices, as seen in the long running series Doctor Who. For those of you unfamiliar with the Doctor, he’s not your typical hero and tends to favor intellect over brute force. While other fictional characters save the Universe with blasters, phasers, and light sabers, the Doctor is equipped with a screwdriver, albeit a pretty spiffy one. Equally effective at opening locked doors and dismantling the plans of intergalactic evildoers, the Doctor’s Sonic Screwdriver could soon become a reality. According to Bruce Drinkwater, the professor who has proposed the idea of creating a functional sonic screwdriver, ultrasonic waves can be rotated at high enough speeds to create a force field capable of turning screws and moving other objects. Working at Bristol University, with a youth science program entitled Big Bang, Drinkwater is hoping to inspire the next generation of young engineers. Ultrasonic waves, sound waves humans can not normally hear, are often used to penetrate objects supplying focused energy that can be measured as it bounces back as a form of sonar. Ultrasound images are already in use as a medical diagnostic tool, and often provide expectant parents with their very first baby pictures. What Dr. Drinkwater is hoping to create is a twisting force, a bit like a mini-tornado, to remotely manipulate objects. Other uses for ultrasonic devices could include medical probes and instruments that could separate diseased cells from healthy ones. Sonic tools could also be used in the manufacture of nanotechnology devices, another science fiction staple of the last few decades. Sometimes truth is just a strange as fiction. On tonight’s episode of Mythbusters (9pm ET/PT, The Discovery Channel), the Mythbusters are tackling a myth they’ve already tested not once, but twice. Why try again? Well, the President of the United States asked them. The story goes that, in 212 BC during the Second Punic Wars, Archimedes was able to set a ship on fire by reflecting the light from the sun off of 500 polished shields and focusing it on the enemy ship. The Challenge: Set a ship on fire using only the focused power of the sun. The Mythbusters tested the story in 2004, and declared the myth a bust – no fire. However, enough people said it could be done, and that they had done it, that in 2005 the show tested the story again. Still no fire. So why did President Obama ask the Mythbusters to attempt Archimede’s Solar Ray for a third time? STEM. STEM (Science, Technology, Engineering and Math) is an education initiative dedicated to helping and encouraging children to excel in science and math that the president’s administration supports. It might seem funny to include a show famous for blowing things up in the tools used to increase scientific literacy, interest and success in science and math, but The Mythbusters are sneaky – using the scientific method is the backbone of every myth, question and story they explore. The Fort Collins Museum & Discovery Science Center isn’t quite so sneaky. Our mission is to create meaningful opportunities for people of all ages to learn, reflect and have fun through hands-on and collections-based explorations of science and culture, and STEM plays a role. Our programs, from Starlab Planetarium shows to Meet the Animals and Science Surprise, follow the STEM guidelines for informal education. We’re dedicated to helping to build a STEM-literate and STEM-excited community and, we promise, you’ll have fun, too! In tonight’s episode, President Obama and the Mythbusters will use the help of 500 primary, middle and high school students with mirrors to test Archimedes’ Solar Ray once again. What do you think, will they succeed in setting a boat on fire? And for your next scientific ventures, be sure to check out the museum’s calendar for fun upcoming events. Amongst the staff and volunteers at the museum, our passions for all things history and science doesn’t stop when we leave work for the day. Awesome nerds that we are, we’re forever telling each other about new books and magazine articles we’ve read, radio programs we’ve listened to, and documentaries we’ve watched. Since it’s not fair for us to keep all this good stuff to ourselves, we want to include you in these conversations. So we’re launching a new feature on the blog: On the Discovery Docket. On the Discovery Docket is our place to connect you to resources beyond the museum that will feed both your mind and your imagination. a short documentary on perspective that will have you double-checking to make sure you’re not actually suspended from the ceiling. Curious to know more? You’ll just have to come back! And, as always, we want your input for more history and science resources. 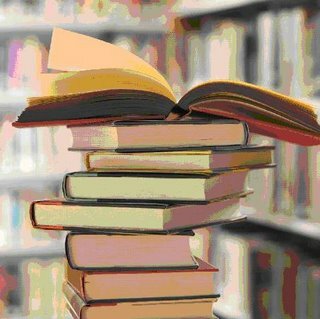 Know of a book that we just have to read? What about a movie or television show? Recommend them! And since we don’t want to make you wait too long for the first official On the Discovery Docket post, here’s a short film to get you started. Did you ever wonder how they inspect high-voltage cables? Watch a professional high voltage cable inspector and learn about Michael Faraday, hot suits, and how a half a million volts of electricity can pass over a man’s body safely. Absolutely beautiful. Remember when we showed you how to cornstarch combined with water creates a non-Newtonian fluid that acts a lot like Flubber? Well, it turns out that’s not the only way to get the “Flubber” effect. Researchers at the California Institute of Technology have figured out how to make water bounce, hop, break and merge. You just need a superhydrophobic carbon nanotube surface and a microscope to see it. Now why didn’t we think of that? And for those of you (including me) who needed a short introduction to the world of nanotechnology, I’ve always found that singing puppets put everything into perspective.